PRICE is collaborating with Dr. Cary Reid at the Weill-Cornell Medical School to host a one-day preconference workshop at the World Congress on Geriatrics and Gerontology. The workshop is entitled “Pain and Aging: Measurement, Mechanisms, and Management” and will be held on Sunday, July 23rd in San Francisco. 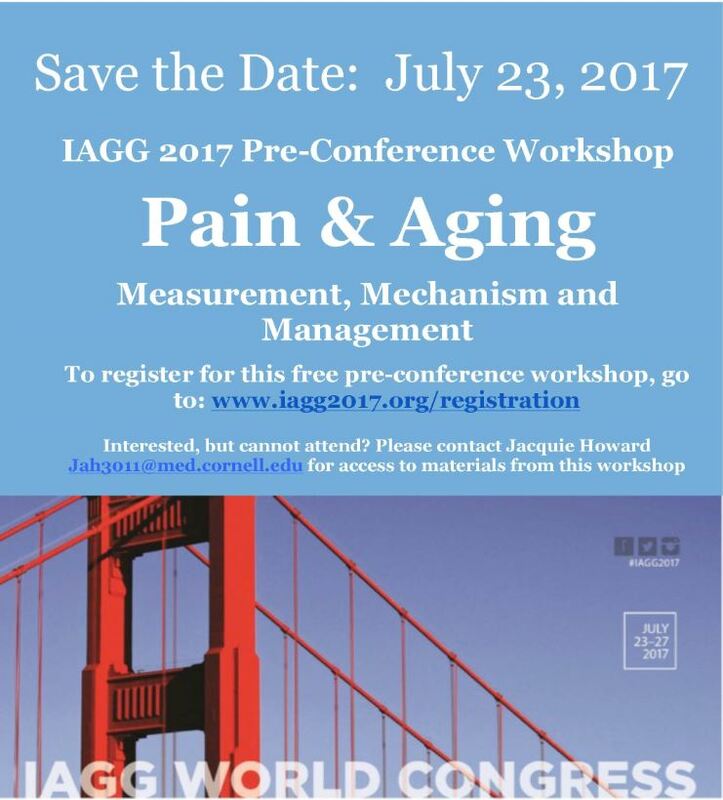 More information is available at: https://www.iagg2017.org/program.